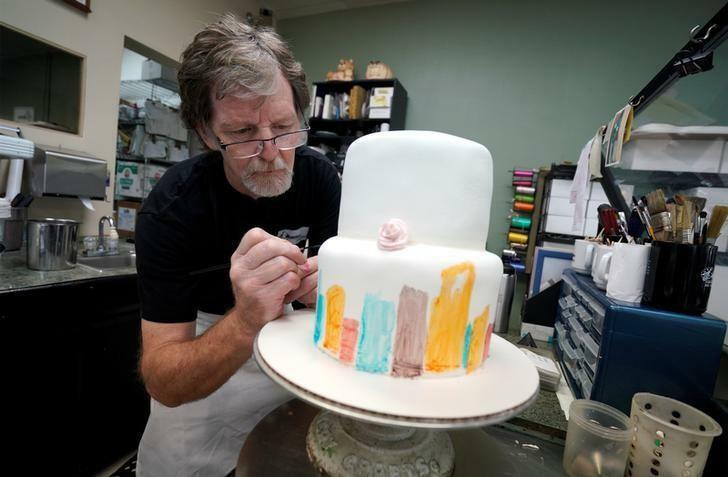 Christian cake artist Jack Phillips is suing the state of Colorado, with his lawyers arguing on Tuesday that he has no choice but to defend himself over new threats. Phillips, who earlier this year won a Supreme Court battle over his refusal to make gay marriage cakes that go against his religious convictions, filed the lawsuit over the state’s latest threats to punish him for refusing to make a gender transition cake. "At this point, he's just a guy who is trying to get back to life. The problem is the state of Colorado won't let him," said Alliance Defending Freedom attorney Jim Campbell, representing Phillips, according to The Associated Press. The Colorado Civil Rights Commission has argued that Phillips discriminated against Denver attorney Autumn Scardina, who wanted the baker to make a cake last year that was blue on the outside and pink on the inside. The dessert was meant to symbolize Scardina’s transition from male to female. The lawsuit is asking $100,000 in punitive damages from Aubrey Elenis, director of the Colorado Civil Rights Division, for continuing to violate his First Amendment right to practice his faith and 14th Amendment right to equal protection.